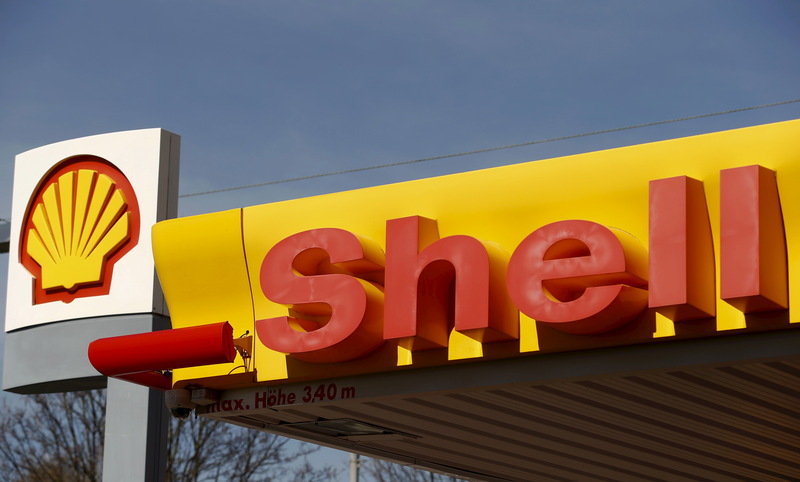 Shell's company logo is pictured at a gas station in Zurich April 8, 2015. Royal Dutch Shell on April 2 said it would not renew its membership of the American Fuel & Petrochemical Manufacturers trade group in 2020. The oil producer said there was a “material misalignment” on climate policies between the two. Shell is one of 55 European companies that faced calls from a shareholder group in October to reassess their links with trade associations based on climate policies. Led by the Church of England Pensions Board and Swedish pension fund AP7, the group has $2 trillion in assets under management.